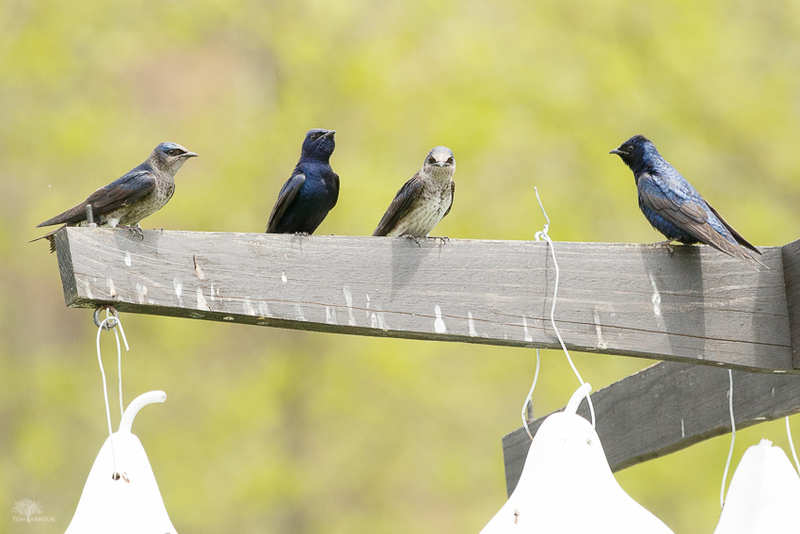 Two pairs of Purple Martins- The males are midnight blue, the females are much more drab. It had been a while since we last visited the historical farm at Slate Run Metropark. 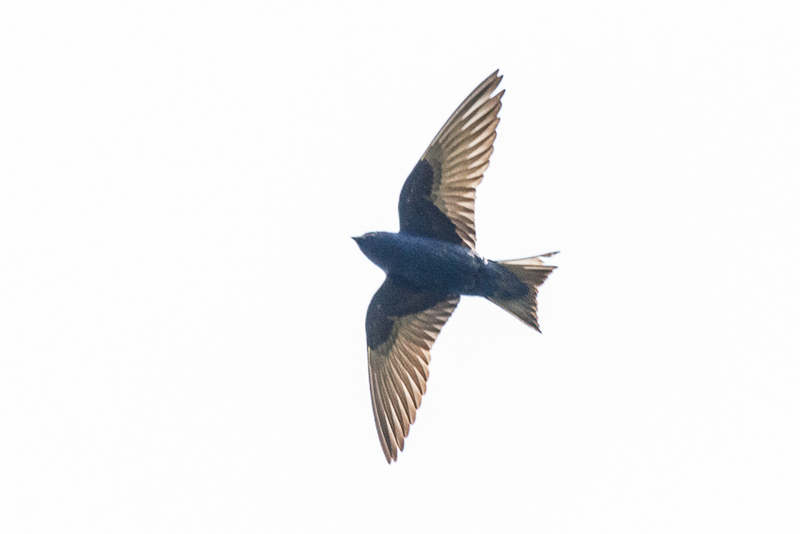 Sometime since, several purple martin trees had been installed. Our largest swallow nests almost exclusively in artificial nest structures in the east, while in the western part of their range, they nest in abandoned woodpecker holes. It's been nearly a decade since I've photographed this species- the last opportunity came on North Bass Island before I had any decent telephoto lens capability. Although the light was fairly atrocious on this day, I managed to capture a few images I liked. What I noticed about the martins is just how large they are. They forage quite high in the air, and even when viewed from a distance, they're noticeably bulky. If I hadn't known they were around, it probably would have taken me a while to figure out what they were from their in-flight silhouettes alone. Viewing my photographs after the fact, it's easy to see the blue colors of the males, but through the binoculars, I was pretty much only seeing their outline.